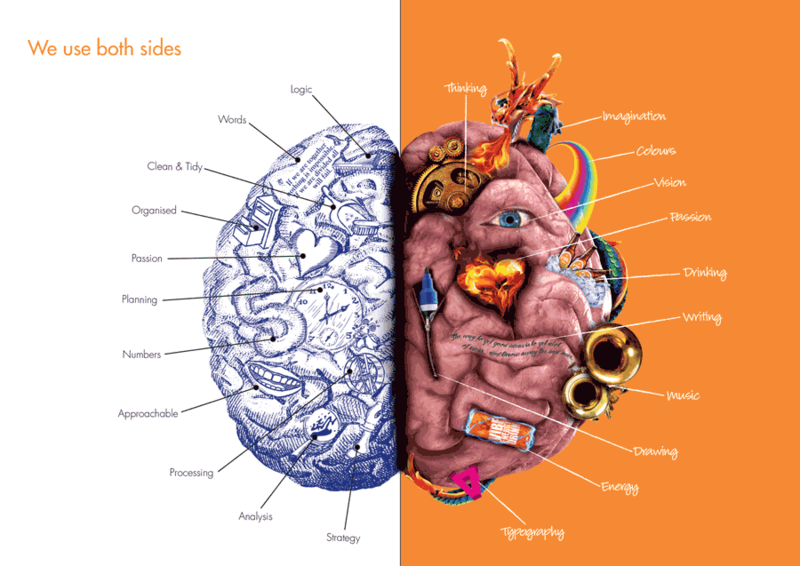 The Common Core demands students think critically while staying connected and diving into text, yet employers desire workers who can think creatively while connecting with people as they dive into their work. In college and careers students will often face the challenge of answering open-ended questions rather than text-dependent ones. Much of the text they encounter in school and work will not be “rich and worthy” of close reading. College students and employees will often be required to make decisions and determine a course of action using vague, conflicting, or even incomplete data that is derived from a variety of sources. Education programs should cultivate independent thinkers who can formulate creative solutions to novel problems rather than training text-dependent thinkers who can answer standardized text-based questions. David Coleman has made it clear that Common Core students are expected to remain tethered to the text and read like a detective while most employers expect their workers to be autonomous learners as they read with perspective. 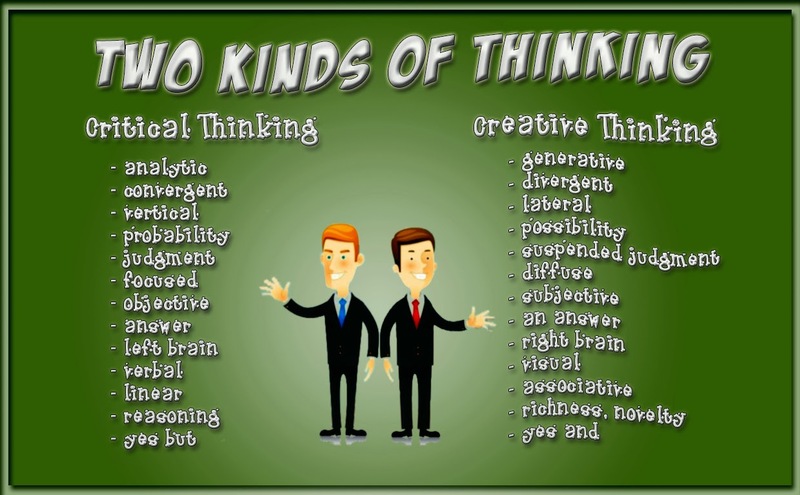 Creative thinking is divergent, critical thinking is convergent; whereas creative thinking tries to create something new, critical thinking seeks to assess worth or validity in something that exists; whereas creative thinking is carried on by violating accepted principles, critical thinking is carried on by applying accepted principles. 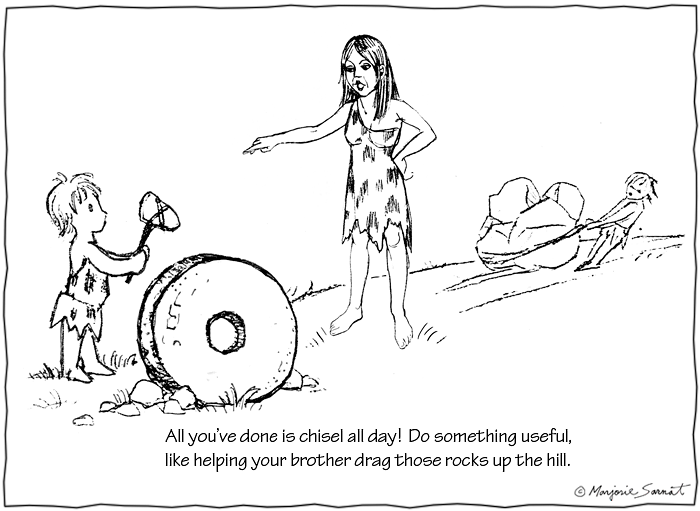 Although creative and critical thinking may very well be different sides of the same coin they are not identical (Beyer, 1987, p.35). The Common Core’s emphasis on text-based thinking at the expense of experiential learning is not in the best interest of students or their future employers. Text may be complex and rigorous but it is a passive, dull, and lifeless way to learn, while activities are a much more dynamic, interactive, and vigorous way to learn. The Common Core Standards do not cultivate innovative and creative thought because it’s lead author has made it clear that original thoughts and personal feelings don’t matter in life. Supporters of the Common Core may point to standards that call for creative and divergent thinking yet the multiple choice questions on the Common Core standardized tests DISCOURAGE and DISCOUNT such thinking as they have only one right answer and plausible responses are graded as wrong. Standards should serve as a flexible framework to meet the academic, social, emotional, and vocational needs of diverse learners and NOT a forced march to meet the data driven demands of standardized tests. To date, Common Core instruction and implementation efforts have been focused primarily on the standardized “needs” of tests rather than the diverse needs of young learners. 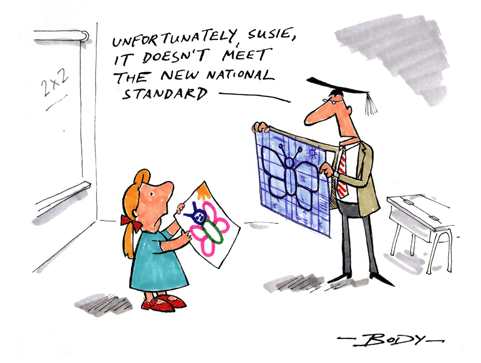 Standards should be a guide or pathway to learning and success, rather than a high stakes destination to failure. Defenders of public education have questioned whether the data driven Common Core implementation efforts will actually lead to more students dropping out of school rather than increasing student achievement. And it’s also likely that, Common Core notwithstanding, our dropout rates will increase in the coming years since they are currently at an all-time low and an improving economy will give marginal students better alternatives outside of school. For the record, it is entirely possible that the CCSS will contribute modestly to future increases in the dropout rate. The Common Core will – by design – make some courses more difficult for many students, and for marginal students that may be enough to nudge them out of school altogether. Michael Petrilli, President of the Thomas B. Fordham Institute has expressed views on preparing ALL students for college and the discipline of at-risk learners that also seem contrary or inconsistent with his enthusiastic support for the K-12 college prep for all approach of the Common Core. Rather than pretend that we’re going to get “all students” to “climb the mountain to college,” we should build a system that helps many students find another road to the middle class—a path that starts with a better prekindergarten-through-eighth-grade education and then develops strong technical and interpersonal skills in high school and at community colleges. This is an honorable path, and one that’s much sturdier than the rickety bridges to failure that we’ve got now. The reason to celebrate these schools and the role they play is because the traditional system has been downright hostile to the needs of such striving children and families…tracking or ability grouping is seen as elitist; any effort to provide special classes, environments, or challenges for motivated or high-achieving kids is cast as perpetuating inequality—even when all the kids are poor, and even though there’s a ton of evidence that high achievers do best around other high achievers. But let’s not forget about the needs (even rights) of the other kids to learn. Isn’t it possible that U.S. public schools have gone too far in the direction of accommodating the disruptors at the expense of everyone else? Or been guilty of “defining deviancy down,” in Daniel Patrick Moynihan’s words? As Eduwonk Andy wrote this week, it’s probably because charter schools are willing (and able) to enforce discipline that they are so popular with parents. That wouldn’t be true if they had to retain chronic disrupters. It is odd that reformers who fervently support the Common Core with its mandate of college and career readiness for ALL students would express views that excuse the most challenged segments of our student population from meeting these higher standards. Wasn’t the rationale for adoption of the Common Core that higher standards would serve as an academic rising tide that will lift all boats regardless of condition, design, or years at sea? Or is it possible that the Common Core, which lacks meaningful career and technical standards or pathways, is intentionally designed to prepare cognitively privileged and standardized students for college and post-college careers while the “marginal” learners in our schools will be encouraged to apply at Dave and Buster’s? In a rigorous Common Core world “marginal” learners are expendable and in the vigorous history of America these individuals were exceptional. Rather than rating and sorting students according to a common and narrow set of testable academic skills we should be celebrating and cultivating uncommon talents and divergent thinking in our classrooms. With the battle cry “College and Career Ready,” the champions of standardization are determined to drum out every last bit of creativity, unpredictability, humor, improvisation and genuine emotion from the education process in the name of useful “outcomes.”..
William Glasser, M.D., studied schools for over 30 years and in his seminal work, The Quality School, he outlines five basic needs that all human beings are born with: survival, love, power, fun and freedom. 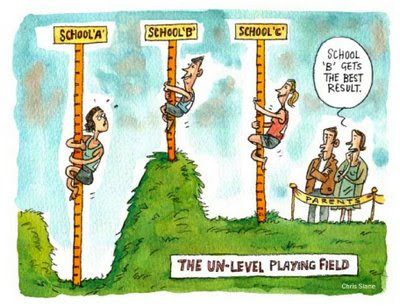 How many policymakers today would subscribe to having fun or experiencing freedom as a goal of our educational system? Just think of the possibilities if they did. Kids actually laughing in school and not being punished for it. Students feeling strong enough to talk truth to power and not being silenced. Youngsters feeling free to write with creativity and originality without being ridiculed for deviating from state test guidelines. And that’s before we even get to love. Common Core: Growing Pains or Growing Awareness? Media reports have focused on a recent survey indicating a sharp decline in support for the Common Core among teachers. These reports have also included a variety of explanations and theories as to why this decline has occurred. Unfortunately much of the speculation comes from Common Core cheer leaders who have limited teaching experience and do not have regular contact with students or teachers so they lack the wisdom derived from classroom experience along with any evidence to support their claims. From my perspective, teachers no longer have confidence in the ability, or trust the motives, of the cognitively privileged but unqualified Common Core A-Team that was tasked with constructing National Learning Standards that should be RESPONSIVE, to the academic, social, vocational, and emotional needs of diverse learners. Simply put, teachers have lost their patience and grown tired of the litany of disingenuous, contradictory, self-serving, and evidence-less claims. And one of the reasons that we have sought reforms to No Child Left Behind. I think it had great intentions. I give President Bush credit for saying, “Let’s raise standards and make sure that everybody’s trying to meet them.” But because so much of it was tied just to standardized testing, what you saw across the country was teaching to the test. But the larger issue is, testing should never be the main focus of our schools. Educators work all day to inspire, to intrigue, to know their students – not just in a few subjects, and not just in “academic” areas. 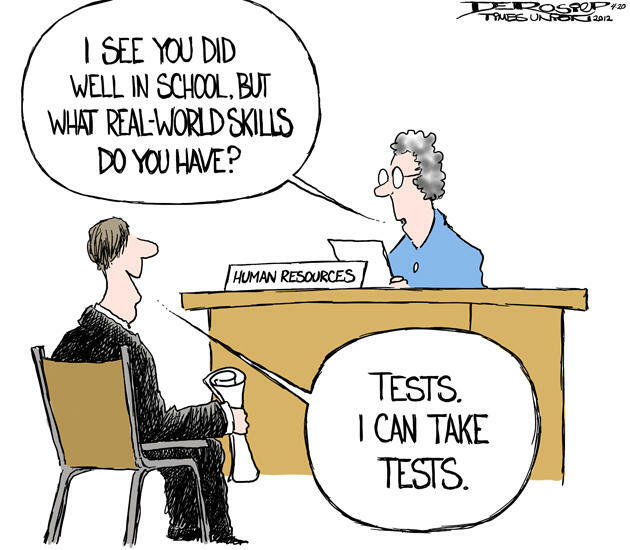 There’s a whole world of skills that tests can never touch that are vital to students’ success. No test will ever measure what a student is, or can be. It’s simply one measure of one kind of progress. Yet in too many places, testing itself has become a distraction from the work it is meant to support. So who are we to believe regarding teaching to the test? Claims that the Common Core ELA literacy standards will prepare our children for college and careers are patently false and misleading. The contrived and artificial Close Reading skills (see #2) required to answer the above test question are not realistic or properly aligned with the real life literacy demands of post-secondary learning and employment. The convoluted format and design of Common Core test questions clearly call for test prep, as students will need time to practice and prepare for questions like this. David Coleman’s comment and the sample test question above are evidence of the Data-driven philosophy and mindset of many Common Core enthusiasts who believe the “needs” of the test should drive instruction, rather than the literacy needs of the student. Experienced educators appreciate and understand that the diverse needs of students must be the number one priority of any education program that claims to prepare students for adulthood and employment. The misguided data-driven and test-centered approach means teachers are spending more and more class time training and preparing students for Common Core tests, rather than preparing them for life. Close reading is a central focus of the the Common Core ELA Standards. Close reading is more than understanding and comprehending a reading, but “understanding how the text works”. This process is very challenging and time consuming for advanced and grade level readers and is confusing, dispiriting, and not even independently obtainable for many weaker and learning disabled students. More troubling is the fact that so many elementary students are losing time in other subject areas to spend extra class time on Close Reading activities when it is not an essential literacy skill for learning or work. Reducing time in other subject areas to focus on close reading is clearly about preparing students for close reading Common Core tests and not about preparing them for college and careers. The day-to-day reading demands of most jobs are NOT “rich and worthy” of close reading. Teachers take their job very seriously and they have great admiration, respect, and high expectations for their students. More and more teachers do not support the Common Core Standards because they do not prepare students for the real life literacy demands of college and careers. Rather than just preparing students for college and careers, every student should have the opportunity to actually practice career skills by participating in internships and work-based learning experiences. #4 Teachers and employers do care about thoughts and feelings. 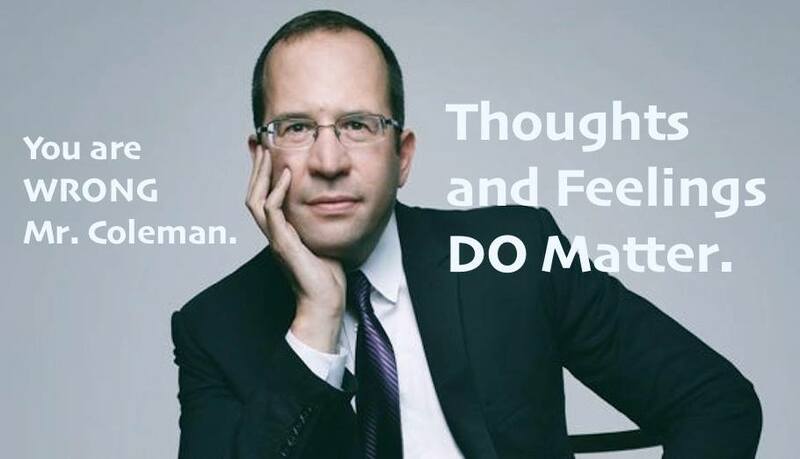 David Coleman’s infamous and insulting statement about thoughts and feelings reveals a lack of awareness and understanding regarding the needs and expectations of students and employees.Even more troubling is the fact that a person who would make such an insensitive and ignorant statement was given so much power and influence to design our National Learning Standards. K-12 education programs should focus much more instructional time on helping students acquire and practice soft skills, if they expect them to master and apply hard skills in appropriate and effective ways. The authors of the Common Core continue to claim that the Standards, will properly prepare our students for college and careers, despite countless surveys and interviews regarding the critical importance of soft skills. The problem with the Common Core’s mission to improve college and career readiness is not that these expectations are too high, but these standards are too narrow and specialized, so they do not prepare our students for the diverse real world reading and thinking challenges of life, school, and employment. About 6 in 10 recent high school graduates enrolled in college attended 4-year institutions. Of these students, 27.8 percent participated in the labor force, compared with 45.2 percent of recent graduates enrolled in 2-year colleges. Since one third of high school students seek employment after graduation and many college students also participate in the labor force, the Common Core Standards should be revised and expanded to address the “work readiness” needs of all our students. 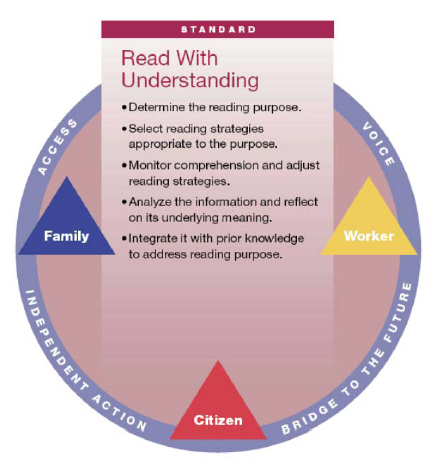 In contrast, the Work Readiness Credential indicates that a student has acquired a much broader, useful, and transferable set of literacy skills for a variety of purposes called; Read With Understanding. Reading a magazine about typical behavior for toddlers, to figure out how to deal with a two-year-old’s tantrums. Reading a brochure from a health clinic to learn about signs of depression and helpful tips for dealing with it. Reading OSHA information about noise exposure, to solve a problem at work. Reading information about voter eligibility in order to decide if one is eligible to vote in an upcoming election. Reading information about financial aid for higher education to decide whether or not to apply for loans, and if applying for aid, to understand options available. Reading Material Safety Data Sheets in order to get guidance about safely handling toxic materials in the workplace. Proponents of the Common Core claim that it will prepare students for the challenges of mastering informational text such as a college text book or an employee manual or even many of the activities listed above. If you compare the Read With Understanding examples listed above to this sample close reading question that was published in Valerie Strauss’s “Answer Sheet” Blog, it is clear that this contrived and convoluted question is assessing a very narrow and specialized literacy skill. This academic skill may serve students well when taking future Common Core ELA tests, but it certainly is not a broadly applicable reading comprehension skill that would be useful or transferable to many real life vocational reading tasks. The choice seems pretty clear, we continue full speed ahead down the narrow and selective Common Core college prep and career readiness pathway or take time for a purposeful pause so the Standards can be revised and expanded to focus on a broader and much more inclusive education and workforce pathway. 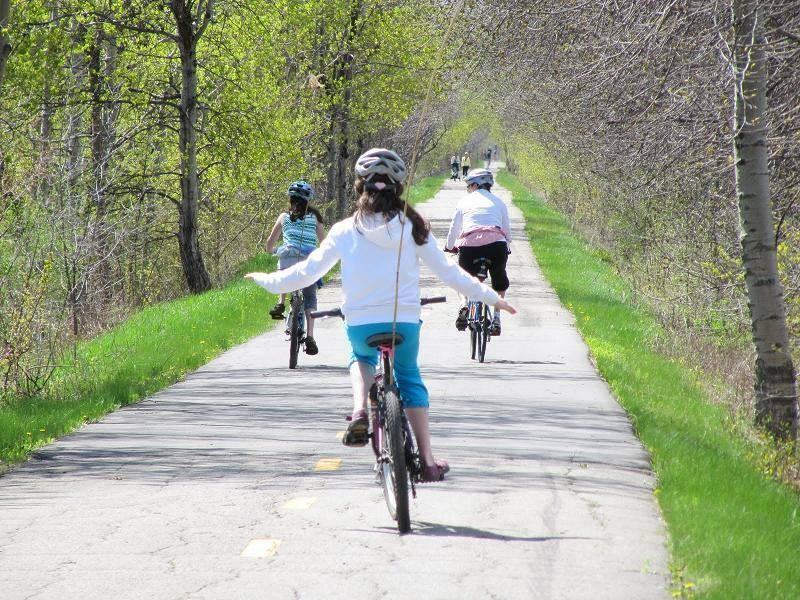 Continuing down the Common Core “road” with ELA standards that focus primarily on selective and specialized literacy skills instead of broad-based, applicable, and transferable literacy skills, make as much sense as the US Education Department announcing a new initiative to improve U.S. bike riding skills by mandating that all children learn to ride a bike without the use of training wheels, and declaring the new National Standard for being a proficient and globally competitive bike rider is…NO HANDS. In the Humpty Dumpty world of the Common Core, “level the playing field” means providing accommodations for learning disabled students during classroom instruction and assessment AND denying those same accommodations during standardized testing at the end of the school year. During the school year teachers are legally required to follow a special education student’s Individualized Education Program (IEP) which describes services and accommodations to support their learning. Test accommodations are intended to remove obstacles presented by the disability so students can equally “access” the test and demonstrate their knowledge and skills. When learning disabled students take their State ELA exams at the end of the school year, they are not allowed to have the test read aloud to them because that accommodation is considered to be a modification of the reading assessment and their score will be invalid and not accurately reflect the students’ reading ability. The question is, said WagTheDog, if providing legally required testing accommodations invalidates the test score, then why are those learning disabled students even required to take the test? Common sense, not the Common Core, would dictate that there is nothing to be gained from subjecting a special education student to a 4 hour ordeal or test of his or her reading disability. These are not diagnostic tests and the disability has already been identified and evaluated by mandated diagnostic and screening tools administered during the school year. The question is, said WagTheDog, if we gave a Common Core listening test would we require hearing impaired students to remove hearing aids or cochlear implants and then expect them to answer questions about a passage that was read to them? The question is, said WagTheDog, if we gave a one mile Common Core walking test, would we require amputee and paraplegic students to remove their prosthesis, get out of their wheelchairs, and start “walking”? These policies do make perfect CENTS if your goal is just to manipulate data and fabricate evidence to support your claims regarding a “crisis” of poor quality education programs and ineffective teachers that plague our nation’s schools. Not only are special education students required to take these tests without their accommodations, but NCLB regulations also require all students, with few exceptions, be tested at their grade level, rather than their instructional level and ability. “Stakeholders from across the State, representing teachers, administrators, parents, and community based organizations have assisted the Department in responding to the requirements of the Renewal application. During the first week of November, an external “Think Tank” was convened, and members were asked to be thought partners with the Department as it drafted its response to the renewal requirements. A large portion of the members of the ESEA Renewal Think Tank also participated in the original ESEA Waiver Think Tank that guided the creation of New York State’s approved ESEA Waiver application. To date, The ESEA Waiver Renewal Think Tank has met five times since convening in November, with various related work groups meeting at least twice additionally during that time period. However, these students need to be provided with instruction with special education supports and services at a pace and level commensurate with their needs and abilities and their individual rates of learning. When students with disabilities are required to participate in an assessment at their chronological age significantly misaligned with content learned at their instructional level, the assessment may not provide as much instructionally actionable information on student performance or foster the most prudent instructional decisions. For these students, State assessments do not provide meaningful measures of growth for purposes of teacher and leader evaluations. While I fully support holding all students to the same high academic standards, I do not believe it is fair to deny learning disabled students accommodations that enable them to equally “access” a test and fully demonstrate their knowledge and skills. If there was a national Common Core Standard that said all children must be proficient swimmers by age 5, would we insist that every 5 year-old regardless of individual ability, discard all flotation devices they have been using to learn to swim and repeatedly take a swimming test in the deep end of the pool, rather than test the skills they have acquired in the shallow end of the pool such as holding their breath, paddling with their feet, or treading water? When it comes to deciding what is “fair” with respect to education policy, shouldn’t the academic, social, and emotional needs of students take precedence over the data-driven demands of student and teacher accountability systems? These are students with a range of disabilities, from ADHD and dyslexia to developmental, emotional and behavioral disorders. During his conference call with reporters, Duncan was joined by Kevin Huffman, Tennessee’s education commissioner. Huffman challenged the prevailing view that most special education students lag behind because of their disabilities. He said most lag behind because they’re not expected to succeed if they’re given more demanding schoolwork and because they’re seldom tested. I have commented before on ed reformers penchant for cherry-picking data and self-serving efforts to manipulate and actually generate data supporting their claims. 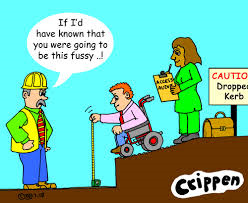 Calculated claims implying that teachers just need to expect more and learning disabled students just need to try harder are not being sufficiently challenged or questioned by the media. These sensational “sky is falling” claims are reported and repeated by a complicit media over and over again till the public can’t discern where the evidence-less claims end and the fabricated evidence begins. Imagine how different the above article would be if independent fact-checking reporters actually challenged ed reformers claims and held them to the same high standards of evidence-based claims that their Common Core Standards demand of our students…. The question is, said WagTheDog, while your desire to see proof of academic progress is admirable Mr. Duncan, are you aware that The National Center for Learning Disabilities has reported on the lifelong challenges faced by learning disabled students and that individual academic progress may be incremental and inconsistent depending on the accommodations and services provided to the student, and the specific nature and severity of the disability. The question is, said WagTheDog, have you considered Mr. Duncan that SED guidelines specifically prohibiting the use of test accommodations and NCLB regulations requiring most students be tested at grade-level, might actually exacerbate the lack of progress and low performance of so many learning disabled students on reading tests, and you are deliberately misrepresenting that data as evidence of a lack of progress by special education students? The question is, said WagTheDog did you really mean to suggest Mr. Hoffman that learning disabilities are a result of low expectations and a lack of testing and this condition can be turned around if only a learning disabled student worked harder and took stronger assessments? Is it possible all this hype and rhetoric about grit, rigor, college and career readiness could simply be a distraction intended to take our attention away from the deals that are being made and the real “lessons” of education reform that are being taught in the backrooms of America, rather than in our classrooms? 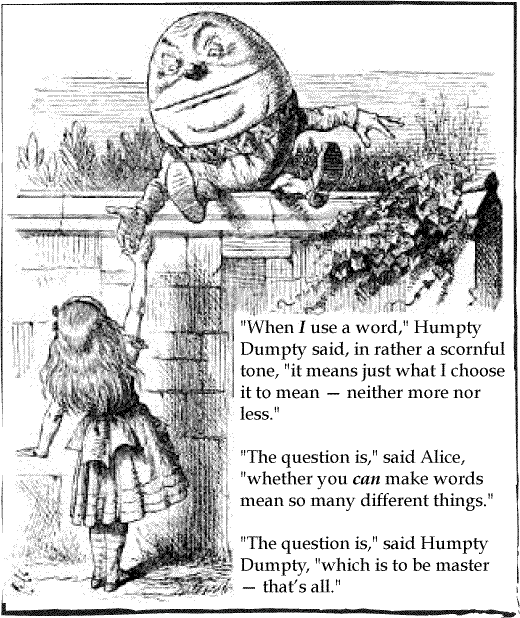 In the Humpty Dumpty world of the Common Core and education reform the “lesson” is clear; power and privilege will trump proficiency and experience every time. That is the only way to explain how unqualified and inexperienced education “experts” backed by taxpayers money, have been entrusted with the task of developing national learning standards and implementing national education policy in America. Successful and diverse locally designed education programs across this country are being defunded and set aside for an untested standardized learning and testing program. This “new and improved” program emphasizes the importance of data, research, and evidence-based claims, while there is no reliable research, data, or evidence to support claims that national standards like the Common Core will improve student learning and achievement. Under the Common Core, truth may be even rarer than fiction. Schools must provide less data-driven classroom activities and more emotion-filled community building experiences if we are to properly prepare our children to be self-directed lifetime learners and independent thinkers. Many K-12 education programs are now focused primarily on preparing students for standardardized tests rather than cultivating student agency and preparing our children for the social and emotional “tests” of adulthood and employment. “The children coming into their second grade classroom that morning arranged their chairs in a circle for a daily ritual: Their teacher asked every child to tell the class how they felt (unless they didn’t want to share this), and why they felt that way. 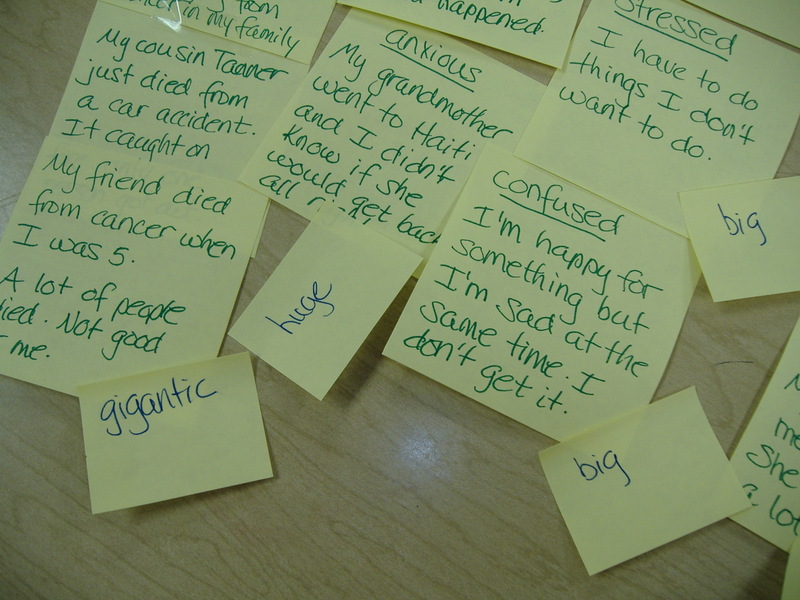 This simple exercise in a New Haven, CT elementary school was the first time I saw a lesson in emotional literacy. Naming emotions accurately helps children be clearer about what is going on inside – essential both to making clearheaded decisions and to managing emotions throughout life. Self-awareness – turning our attention to our inner world of thoughts and feelings – allows us to manage ourselves well. It’s the distinguishing competencies that are the crucial factor in workplace success: the variables that you find only in the star performers – and those are largely due to emotional intelligence. These human skills include, for instance, confidence, striving for goals despite setbacks, staying cool under pressure, harmony and collaboration, persuasion and influence. Those are the competencies companies use to identify their star performers about twice as often as do purely cognitive skills (IQ or technical abilities) for jobs of all kinds. Daniel Goleman provides evidence and cites research to support his claim that thoughts and feelings do matter in life and they have a significant impact on the performance of students and employees. I can’t help but wonder how much more diverse the Common Core State Standards would be if the cognitively privileged and powerful A-Team assembled to develop the Common Core State Standards had consulted with Daniel Goleman? A National Common Core Curriculum…An Idea Whose Time Has Come? In 2011 the editors of AFT’s publication, “American Educator” devoted their Winter edition to a discussion of the Common Core State Standards. The pro-Common Core publication included commentary from a variety of Common Core cheerleaders. Misleading and meaningless eduspeak coming from some ed reformers is to be expected, but from the leadership of The American Federation of Teachers? Curriculum that “fills roughly two-thirds of instructional time” is a disingenuous claim that no experienced teacher would make when it is virtually impossible to predict and estimate the amount of instructional time needed for ESL, disadvantaged, learning disabled, regular ed, and gifted students to master the untested and unproven Common Core Standards. The New York State ELA Curriculum materials for grades Pre-K-2 are created by Core Knowledge and according to the EngageNY web site, these curriculum modules are optional and they can be adopted or adapted by schools to assist with implementation of the Common Core. The Common Core has been “sold” as a way to make our students more globally competitive and to properly prepare them for the rigors of college and careers. Teachers are certainly important, but so are police, firefighters, doctors, and even parents. Don’t quite understand the urgency of comparing the quality of teachers and education programs from state to state or the efficacy of using a national standardized test to do this, when there are so many variables outside the classroom that significantly impact the academic performance of our students. If we were to compare the quality of doctors from state to state, we certainly wouldn’t look at the average weight of citizens, blood pressure, cholesterol levels or lung cancer rates, to measure and compare the effectiveness of doctors and then presume to know how well they had taught their patients about the importance of healthy eating and regular exercise or the dangers of smoking cigarettes. 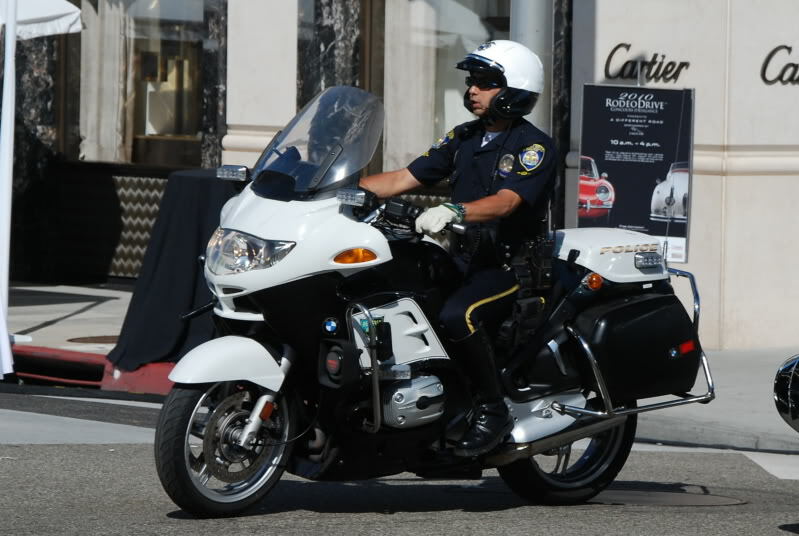 Environmental and community factors are so powerful, that most people understand it would be foolish to claim that Beverly Hills police officers have superior policing skills compared to police officers in Newark, New Jersey because of the much lower crime rate in that city in California. Even if we are able to solve the problem of equitable funding for distressed schools so they have the necessary programs and wrap around services to support student learning, CC evangelists have not provided sufficient evidence to support their claim that student performance on national assessments provides enough data to reliably measure and compare the skills of students and effectiveness of teachers on a national and international basis. An essential and missing ingredient would be a national curriculum, otherwise both teachers and students could explain that their lower performance is attributed to a different and inferior curriculum. To be fair, AFT has adjusted it’s position regarding VAM, the over use of testing, and have called for a decoupling of standardized tests. CCSS supporters also continue to proclaim that the Common Core are standards and curriculum decisions should be made at a local level. That said, if we are adopting national standards for the purpose of creating a unified educational system that will fairly and reliably evaluate and compare student and teacher performance across the country, then isn’t a national curriculum an inevitable and necessary outcome to assure the validity of the data? 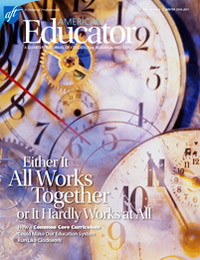 Time for AFT to publish another American Educator issue devoted entirely to the Common Core so the leadership of The American Federation of Teachers can clarify their position on a National Common Core Curriculum, and clearly explain to; members, reformers, and the general public…Where They Stand? The Common Core is a set of high-quality academic standards in mathematics and English language arts/literacy (ELA). These learning goals outline what a student should know and be able to do at the end of each grade. The standards were created to ensure that all students graduate from high school with the skills and knowledge necessary to succeed in college, career, and life, regardless of where they live. 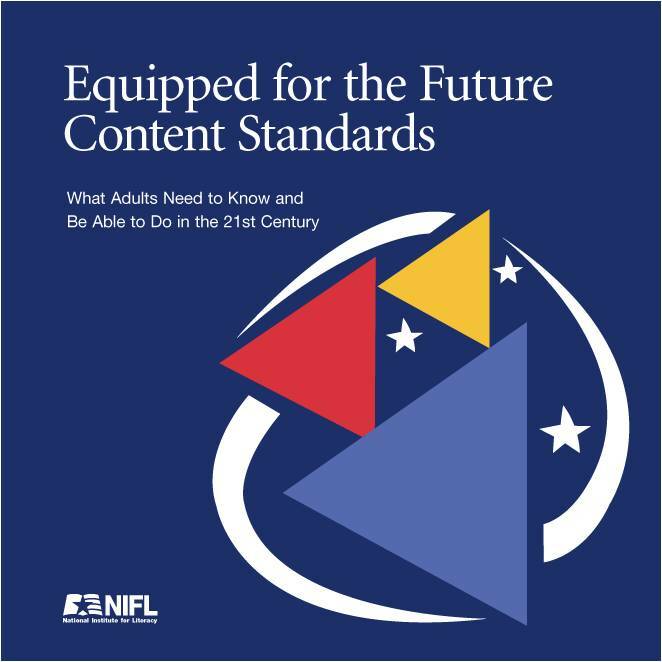 Rather than focusing solely on the skills of reading and writing, the ELA/literacy standards highlight the growing complexity of the texts students must read to be ready for the demands of college, career, and life. The standards call for a staircase of increasing complexity so that all students are ready for the demands of college- and career-level reading no later than the end of high school. The Common Core is a standard staircase , with a standard slope, a standard number of steps, each rising a standard distance, and it is designed to challenge the climbing skills of “standard” students. 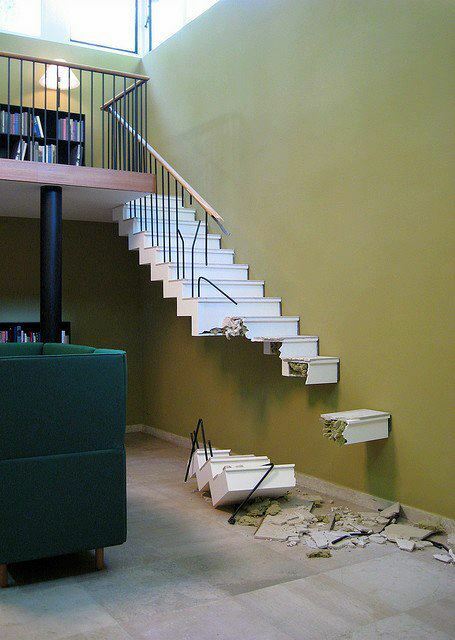 Unfortunately the Common Core implementation kit that has been distributed to the States does not appear to include contingency plans and directions for assembling and installing the stairs for use by students who do not climb and learn in a standardized way. Since the CCSS are a cumulative K-12 program that functions like a ladder or staircase of learning, they must be taught in sequence as acquisition of each new skill is dependent on mastery of skills learned during the prior school year. With each school year students acquire new knowledge and understandings based on the “step” of learning the previous school year. 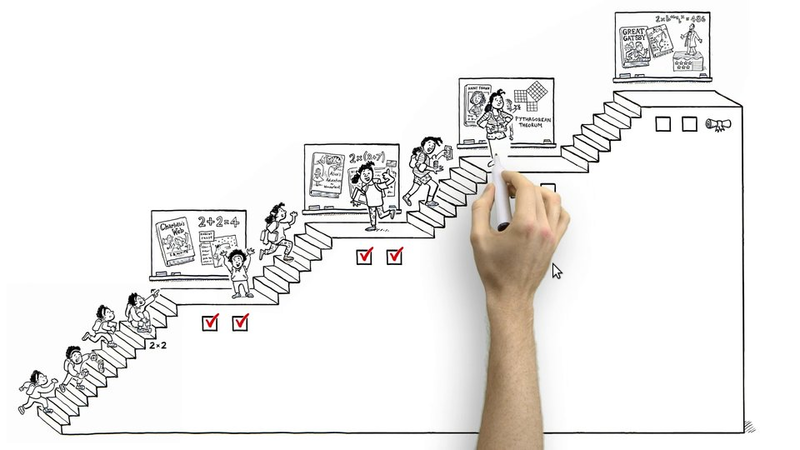 If students are to climb the Common Core staircase or ladder successfully, they must “spend time” on each step and begin their climb with the first step. Common Core assessments cannot properly measure student proficiency if they are measuring standards and skills that were never taught and learned. That is why education leaders in NY predicted correctly that student scores would drop 30% or more on the new Common Core ELA and Math assessments because they were administered to students in grades 3 through 8 who began climbing the staircase at “higher steps”. Many learning disabled and disadvantaged students will not be able to climb the Common Core stairs by starting in the “middle” and it is not fair to expect them to do so. The new PARCC and Smarter Balanced assessments will not provide accurate and reliable student data regarding “college readiness” at every grade level, unless they are phased in one year at a time beginning with the bottom step. Accordingly, the Common Core tests should become “operational” beginning with our youngest students and then administer a new assessment for the next grade level the following school year. How quickly each student “climbs” the Common Core staircase is not as important as making sure that every student has an equal opportunity to do so. If we implement and assess the Common Core in a careful and thoughtful way, “one step at a time”, we may well learn that a number of students will need to use a modified staircase that includes additional “steps” and not as steep a slope as the standard staircase. Struggling and weaker students will not be able to “climb” the Common Core staircase without using all the “steps” and some students may even need to use two handrails. Students will most surely not climb these stairs at the same rate of speed, as many students may need to “rest” at certain steps along the way while others may even need the assistance of a stairlift to reach the top. It is foolish to claim that once we have installed a national set of uniform “stairs” across this country that teachers should be held accountable if their students do not learn and climb these stairs in a synchronized way. Furthermore, the new Common Core assessments could not possibly assess the proficiency levels of middle and high school students in an accurate and reliable way, because these students never had the opportunity to learn on the lower “steps” of the Common Core staircase. Even if VAM were not junk science, it still is not fair to test middle and high school students using Common Core assessments and then claim these scores measure the effectiveness of their teachers because we are grading the ability of students to climb up a partially completed or broken-down staircase.